Dr. Jane Lockwood, the co-founder of Future Perfect Inc., has recently launched her own professional website, which will showcase her research work in areas such as evaluation processes, and workplace communication curriculum development, as well as communication and language assessment in the BPO industry. Jane co-founded Future Perfect in 2005 with the aim to promote best practices in workplace communication. She is currently a key advisor for all research and development projects at Future Perfect. She also has had a broad range of educational management posts in Australia, Hong Kong and the Philippines. 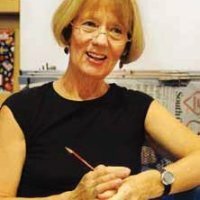 You may visit her website at www.drjanelockwood.com to learn more about Jane – her previous work and publications, as well as any current and upcoming plans and events she has in research and development. You can also get in touch with Jane directly from her website.